Hewlett-Packard introduces three ways to make your evaluations a lot easier and precise! 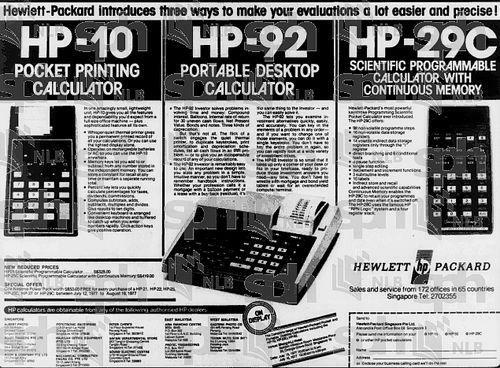 HP-10 Pocket Printing Calculator; HP-92 Portable Desktop Calculator & HP-29C Scientific Programmable Calculator with Continuous Memory. TST, 13 July 1977, Page 8 - Hewlett-Packard Singapore Pte. Ltd.